This house is Mer-mazing. By land or sea accessing this Florida lifestyle waterfront home is an incredible experience. Positioned on Meadow Lark Drive known as The street of Golden Vistas. You’ll experience dramatic and mesmerizing views throughout the home, and as the sun sets on downtown Sarasota’s skyline, the city is lit with magical golden light. This home features a new customized dock with 27,000 lb. lift, & also lifts for kayaks and jets skis. This superior yachting location has the depth and clarity to accommodate larger vessels. The fantasy continues on in the first floor master suite with doors leading out to the pool deck, soaring ceilings, custom closets and a lighted Mermaid feature in the master bath. The coral-themed guest bedroom with bath also is located on the first floor main level. Upstairs, the views continue to amaze from the loft overlooking the family room. Two bedrooms with baths are upstairs, plus an office which is currently converted to a bunk bed room where dreams do come true. Dazzle your guests around the stunning kitchen which pours outside to the swimming pool deck. The pool features a heated spa and also has an infinity edge and has substantial space for outdoor entertaining. Renovated in 2018 with the finest materials expected in a house of this caliber. Improvements include: new roof, impact windows, added garage space, kitchen, pantry, flooring, lighting, seawall, lifts, and dock. Please, send me more information on this property: MLS# A4427315 – $5,350,000 – 447 Meadow Lark Dr, Sarasota, FL 34236. 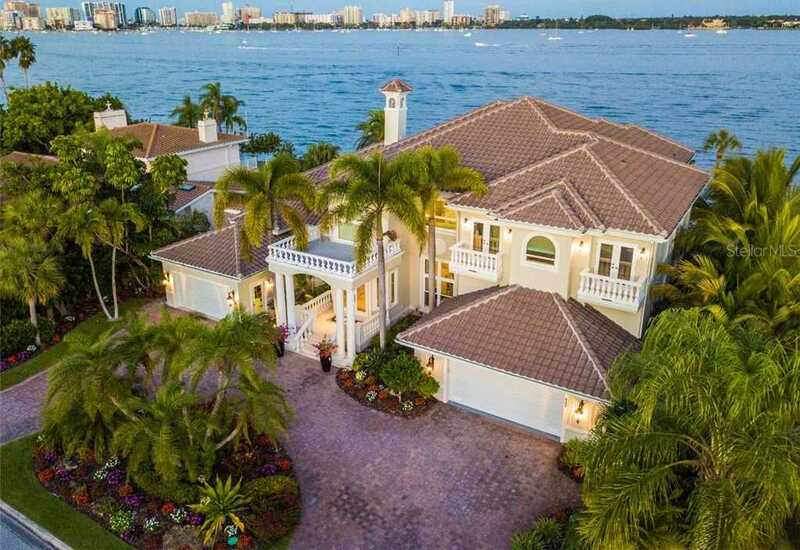 I would like to schedule a showing appointment for this property: MLS# A4427315 – $5,350,000 – 447 Meadow Lark Dr, Sarasota, FL 34236.